Maria Chilf belongs to the mid-generation of well-known Hungarian artists. She has regularly participated in exhibitions in Hungary and internationally since the early 1990s. Her works are characterized by a sensitive yet strong, individual style, particular interest and formal vocabulary, whether in the form of installation, video or her unique graphics and aquarelles that have shaped her whole career. The power of her works stems from her deeply lived individual destiny and her specific Central/Eastern European experience. Since the mid-2000s, the existential motivation of her works has become increasingly evident: they gravitate around existential questions, the human psyche, the subject and its representation. 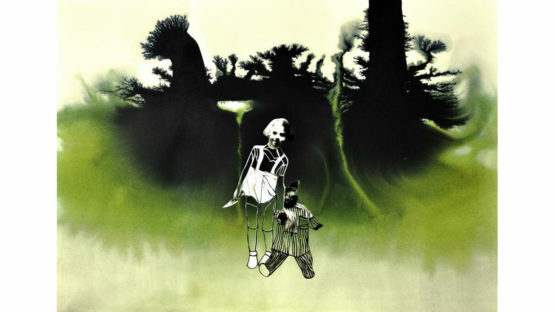 Landscape motifs combined with human figures and situations appear in the works that mix real and surreal elements.